For those of you that are unfamiliar with the third generation TL Type-S, let me give you some quick background info. 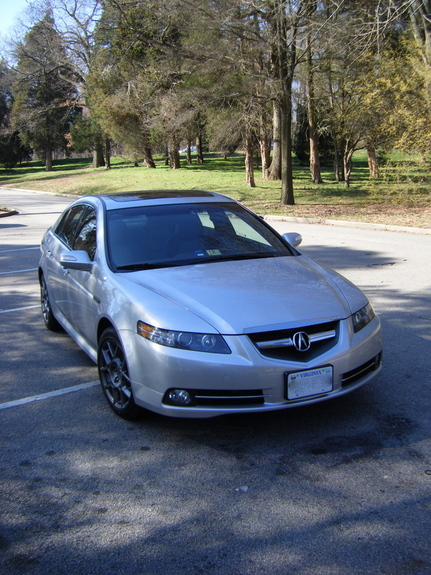 The Type-S version of the third generation TL was available only during the 2007 and 2008 model years. The vehicle came equipped with a 3.5 liter V6, pumping out 286 bhp (though dyno charts show Honda slightly underrated this engine. It was probably putting out closer to 300 bhp), upgraded suspension, four-piston Brembo front brakes, Type-S exclusive wheels with optional summer tires, quad exhaust, and some minor aero upgrades. If you opted for the manual equipped version, you also got a limited-slip differential to combat torque steer and understeer (Acura fought torque steer in the auto equipped version by making the steering significantly heavier than the base TL and the manual equipped Type-S). This was the car Acura sent out to combat the sportier mid-size offerings from other luxury brands such as the Infiniti G35S, the Lexus IS350, the BMW330i, Mercedes-Benz C350 Sport, etc. Though it was the only front-wheel drive car in the class, the TL Type-S surprised many reviewers with its speed and nimbleness. 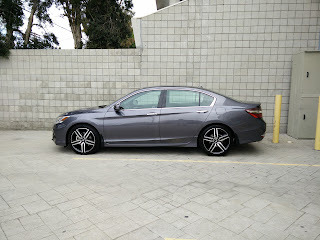 By today's standards, the TL Type-S would probably be considered mid to bottom of the pack in the sport sedan category. How can we update the Type-S to make it more competitive? Let's start with the engine. While the 3.5 liter in the TL Type-S is pretty potent as is, it's still an older design. If there were a way to replace the old 3.5 with a newer, direct injected 3.5, that would fix the TL's horsepower deficiency, and dramatically increase its fuel economy. My thinking is to find a way to shove the RLX's 310 bhp, direct injected 3.5 liter V6 into the car. You get a 24 bhp increase, along with a 16 lb./ft. increase, and greatly improved fuel economy. In manual trim, the car can continue to maintain the six-speed manual with limited-slip differential. 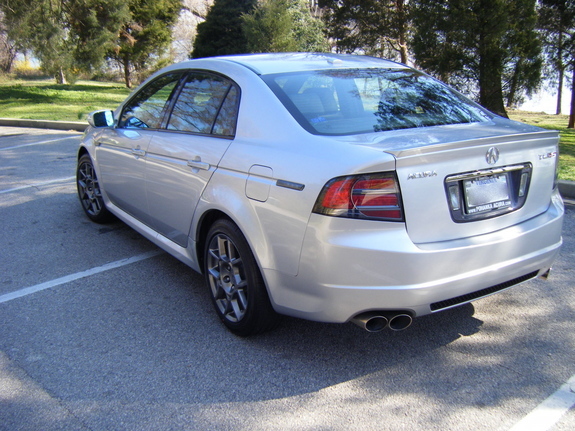 In automatic form, the old five-speed should be replaced with one of Honda/Acura's newer six-speed automatics. Dual clutch would be great, but the rumor as to why Honda's DCT from the TLX won't work with anything larger than the 2.4 liter inline-four is because it simply cannot handle any more torque. Why not the ZF sourced nine-speed that currently resides in the TLX and MDX? That transmission has its share of issues, and the idea is to improve the car while maintaining reliability, not add newer parts to it that could potentially leave the car stranded in an Acura service center. There isn't a whole lot to do in the handling department. As it stands, the TL Type-S still handles incredibly well, despite its age. Though the suspension does lean more towards the firmer side, it's certainly not "rattle your brain loose" firm. There are two minor things I can think of though: 1.) maybe upgrade the standard 17" wheels to the 18" A-Spec wheels wrapped with some stickier tires, and 2.) do something about the brakes. While the car does come standard with four-piston Brembo brakes in the front, there is still some very pronounced brake fade when driving the car hard. When I took my TL-S up to Glendora Mountain Road, I had to stop after about 30 minutes of driving as I noticed myself having the step deeper and deeper into the brake pedal to get the car to stop. Perhaps a better brake pad, or maybe cross-drilled rotors to help with cooling? While the interior of the TL Type-S has aged relatively well, there are a few things that could use an upgrade to make it compete better with today's luxury sport sedans. 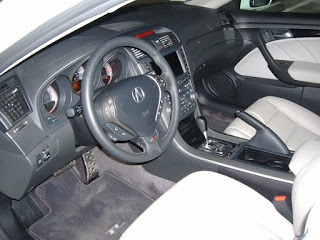 First off, the old steering wheel should be replaced with one of Acura's more current, thicker rimmed steering wheels for that actual sporty feel. The steering wheel that took up residence in the 2012+ Acura TL would seem to work perfect. As for the center console? That would probably take a lot of custom work, but I'd say the best system to swap the old console out for would be the single touch screen system out of the current generation Honda Civic. Not only does it avoid the complexities of Acura's current dual screen setup, it also ensures that my idea for an updated TL-S has all of the latest tech features like Android Auto/Apple CarPlay. As long as you have a smart phone with a large enough data plan, you'll never have to worry about navigation. While keyless entry and push button start/stop would be nice, that would take even more custom work than the center console, thus making it pretty impractical. Besides, these are modifications I would make to improve the car if I bought a used model, not something I wish Acura would sell brand new. If I'm completely honest though, if I found a used TL Type-S in good shape with reasonable mileage, I'd probably enjoy it as is anyway. Of course, there is an easier route to take that wouldn't involve doing an engine swap and tearing the entire center console out. With some tweaks to the engine, suspension, a set of stickier tires, upgraded brakes, and the paddle shifters from a same generation Accord Touring Coupe, our 2016 Honda Accord Touring has the potential to become a good substitute for the TL Type-S. It certainly already has the "performance sleeper" look to it.